Independence Blue Cross and the Independence Blue Cross Foundation have supported nursing education for 12 years. Since then, a total of 215 undergraduate nursing students have interned in community health centers or within Independence. They’ve contributed more than 80,000 hours of work since the program began in 2004, including 7,500 hours contributed this year alone. For the first time, our Nursing Internship Program required our nurse interns to conduct an informal research project throughout the summer. Each nurse intern was asked to identify an issue at their specific internship site, for example, patients making unnecessary visits to the ER or issues resulting from language barriers between patients and providers. This exciting project was an opportunity to enhance critical thinking skills using the scientific method and to introduce undergraduate nursing students to the world of nursing research. With the help of the Foundation’s Ph.D. nurse scholars (who helped them refine a topic and create a poster), the nurse interns presented their research project posters at our closing recognition event in August. 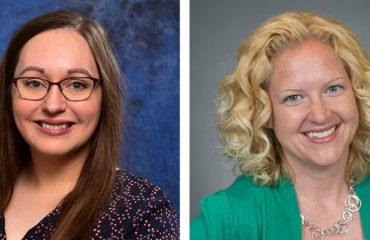 Meet three of our nurse interns and learn more about their research posters. Gia’s poster was titled Barriers to Accessing Long-Acting Reversible Contraceptive (LARC) Methods in Low-Income Populations. 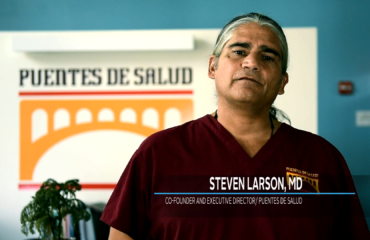 Gia experienced a pilot program at The Stephen and Sandra Sheller 11th Street Family Health Services of Drexel University that examined the barriers patients face in accessing care. Stacie’s poster was titled Motivational Interviewing (MI) Matters for Member Health. 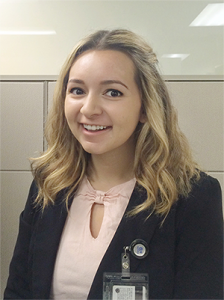 Stacie saw the benefits of motivational interviewing techniques and investigated the nursing theory behind these practices in her internship with care management at Independence. Maeve’s poster was titled Low Percentages of Annual Depression Screenings at Public Health Management Care Clinic. 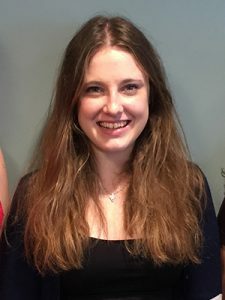 Maeve recognized an area for improvement in depression screenings at her nursing internship program site, and took the opportunity to research and identify possible solutions. The primary goal of the Independence Blue Cross Foundation Nurses for Tomorrow grant program is to bolster the nursing workforce by investing in nursing education. One of the ways we achieve our goal is through our Nursing Internship Program, a hallmark program of the Independence Blue Cross Foundation. In collaboration with Independence Blue Cross, our 21 nursing school partners, and our health center partners, undergraduate nursing students experience a unique and immersive internship. The internship is a 10-week program where nursing students gain non-traditional experience and take part in professional development curricula at either Independence Blue Cross or at an Independence Blue Cross Foundation-supported community health center. In addition to working at their internship sites, the nurse interns participated in three full days of Leadership Labs that focused on networking, cultural competency, education and passion, and mentorship. 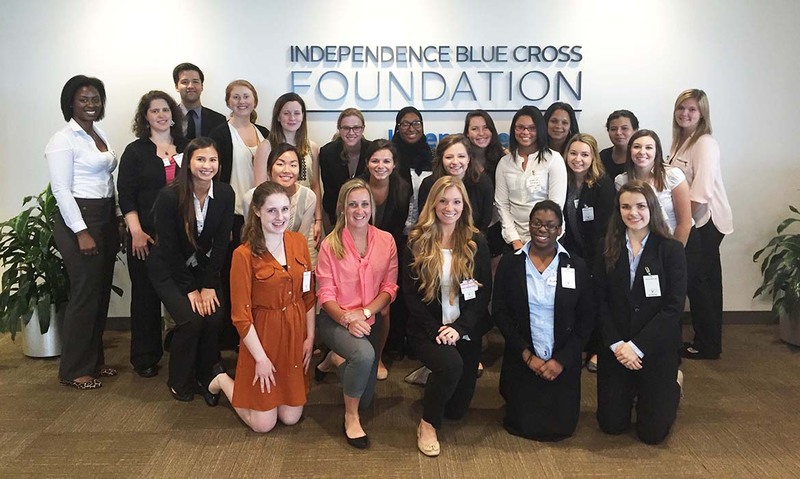 In 2016, the Independence Blue Cross Foundation received more than 1,000 applications for 22 intern positions — a testament to the quality and competitiveness of the program. Thank you to all of our wonderful partners and interns for another successful summer. Be sure to stay connected with our Nursing Internship Program in 2017. Interested students can apply beginning in January! 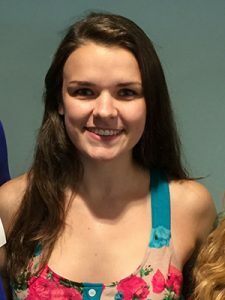 Leah Rusenko joined the IBC Foundation team full-time in Fall 2015 after interning for two consecutive summers. Starting in a support role that spanned all program areas, she now works with the Blue Safety Net program and its health center partners. Prior to joining the team, Leah graduated from Georgetown University with a degree in International Health. She is passionate about urban health disparities, and exploring cities around the world.